The history of Nalini is focused on the passion of Vincenzo and Claudio Mantovani. A passion that goes through the history of Cyclism both in terms of products innovations and of building strong partnerships with the most important professional teams and champions. From its debut till the most recent victories, Nalini has been able to renew itself but always hanging to its history and to its original and Authentic passion. It is Authentic because it is real and concrete, moreover supported by an unique production structure, a totally vertical enterprise which is able to supervise the entire production cycle. It is Authentic because it is able to produce essential, real original cycle garments, chosen by the most demending athletes and cyclists. Finally, it is authentic because the product is made by passionate, dedicated workers who are able to combine the technology and constant improvement to the warm and timeless human touch. Here at Nalini Australia we are riders, racers, commuters and enthusiats - cycling runs in through our veins. We are committed to ensuring your projects are brough to fruition with the design and details you envision. From custom patterns and templates, to anything you can think of - if you can think of it, we can make it. Our talented staff can handle everything a custom project entails, from product selection and experience based advice to design input and creations. We are truly the one-stop shop for all your custom cycling needs. Where we really set ourselves apart from the field is in our customer first focus. We endeavour to keep you up to date throughout every stage of the process. If there's a delay, you'll be first to know about it. If there's a problem in production, you'll know about before the garments are in your hands. And even when the order has been delivered we'll still keep in touch to make sure our garments are meeting your expectations and what we can do to keep on the top of our game. Choose us for your next custom cycling clothing provider and you'll be suprised at the level of service you didn't know existed. Explore our portfolio of previous work. Performance without the pricetag, classic cuts and timeless style. Click to view the range. The perfect mix of race winning technology and cutting-edge style. Unmistakably race focused - aerodynamic and podium proven. No matter what you dream up, we will endeavour to bring it to life. Whether it be by email, phone or even face-to-face, your first step on your Nalini journey is for us to get to know you and your requirements, needs and desires. We will ask you about your riding, racing, location, climate and environment to accurately recommend garments from our large range that will compliment your cycling. The first stages of the design process will also be fleshed out, as we try and create a kit that fits you not only physically, but stylistically as well. 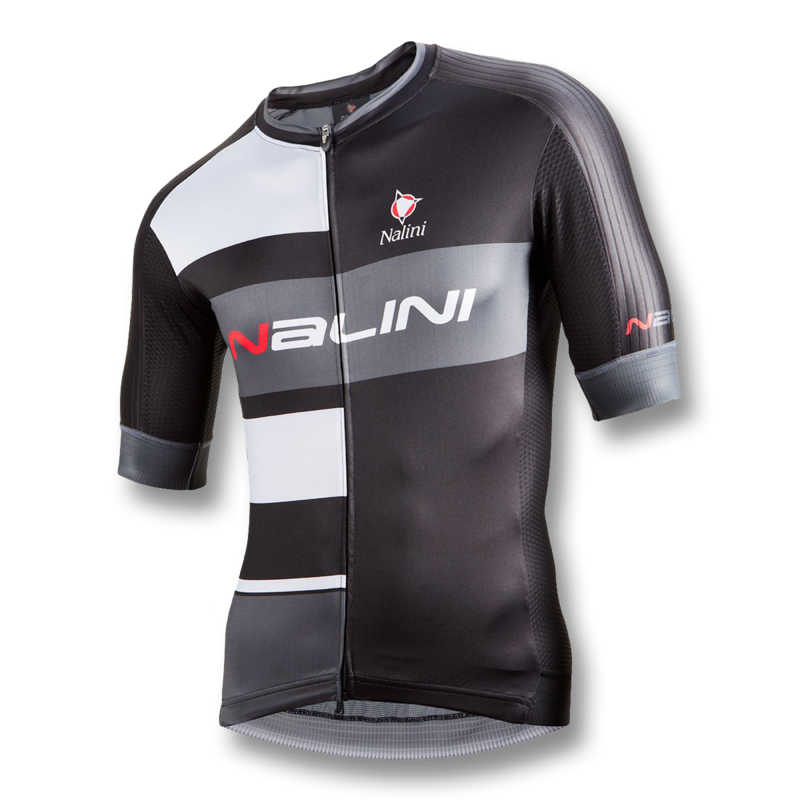 Choose from a variety of methods to produce the design for your Nalini kit, from our free of charge in-house designers, all the way to our network of trusted, premium designers. We will unpackage the core elements of what you are looking for in a design and apply them to the garments we identified through the initial consultation. We can help with every little bit of the design process, including selecting Pantone references, creating vector logos from images and complex patterns and gradients that you thought would never be possible with cycling clothing! We will rework the design and produce as many revisions as you need to be happy with you creation. Once we have the garments selected and the design locked away, it's time to place your order. We can help you if you are ordering for a large group with our online ordering portal, where individuals can place and pay for their orders at a selected price from the comfort of their own home, (even by mobile!). Log on any time as an order admin to see exactly how close you are to each price break, total order cost and other metrics that will help you in the task of managing the order for a club, business or just a large group of riding friends. Producing through their very own factory wholly in Italy, Nalini's lead times are amongst the fastest in the industry. From the payment of the deposit and confirmation of both order quantities and design, production can take between 6 to 8 weeks, sometimes being as quick as 4 weeks in certain cases. The order will then be shipped to you within a week or two, as it passes through our Australian warehouse for quality control and order division, (if ordered through our online portal). Throughout the production process we will notify you of any changes so that you're never wondering when your kit is going to arrive. © 2017 Nalini Australia. All Rights Reserved.